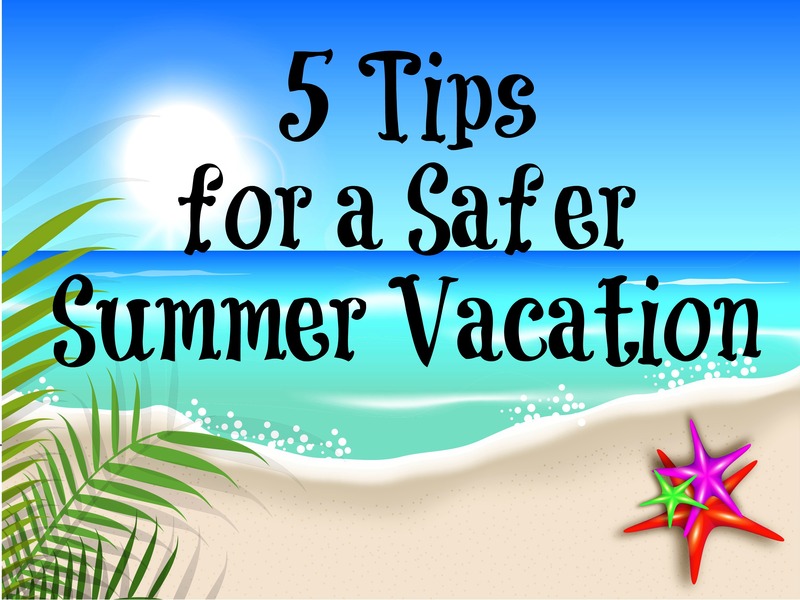 5 tips so you can have a safe summer vacation! Travelling with kids can sometimes be overwhelming, so I put together this list of 5 tips to help you have a Safe Summer Vacation! Consider dressing everyone in the same color. It may seem like a silly idea, but scanning the beach for a certain color is so much easier when trying to identify your kids. Obviously this will work much better on smaller kids, unless you have really easy-going teens! Pack your first aid kit. Band-aids, neosporin, allergy medication, Gravol, pain killers, extra prescription medications. You never know, and I would much rather be prepared even if I don’t end up needing anything. Don’t forget your health insurance card and medicare cards. If you are flying, try squeezing in a change of clothes in your carry on bags. If your luggage is lost, it will be nice to have that change of clothes until your items are found. Make sure your children know their home address, telephone number, and parents full names. Make sure you review with your children what they should do in case they are lost. Which brings me to my favourite tip when travelling, the Life360 app. With the technologically inclined world we live in today, you can get a pre-paid cell phone for pretty cheap. 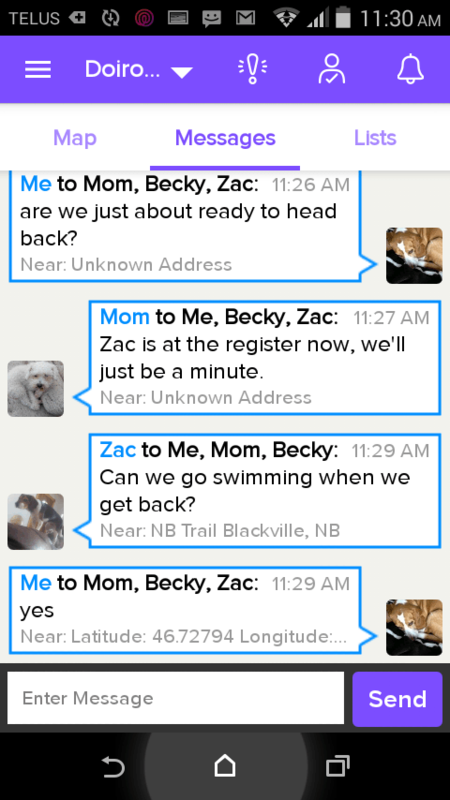 This makes it easy for all (older) members of the family to have a cell phone on them when travelling. You can download the Life360 app for android or iOS and keep in touch with your entire family. Life360 makes it easy for you to create a list so you can easily message the group and check up on their locations. It’s an excellent app for your family to use to communicate and stay in touch, without you needing to become a ‘helicopter mom or dad’! Another excellent feature that I love is the ‘Panic’ feature. You can hit the ‘Panic’ button and within 10 seconds it will send a text, email, and phone call to everyone in your circle. I truly think that teaching your kids to use this function when they are in trouble will be very beneficial!